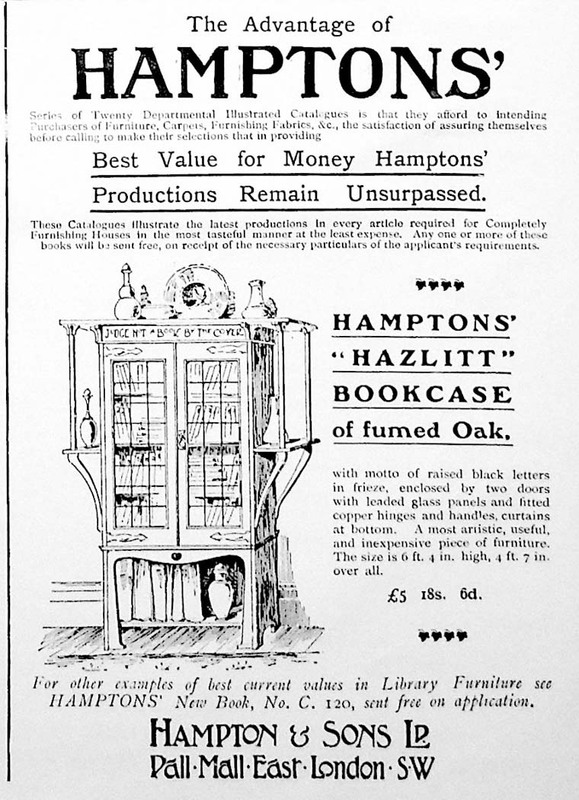 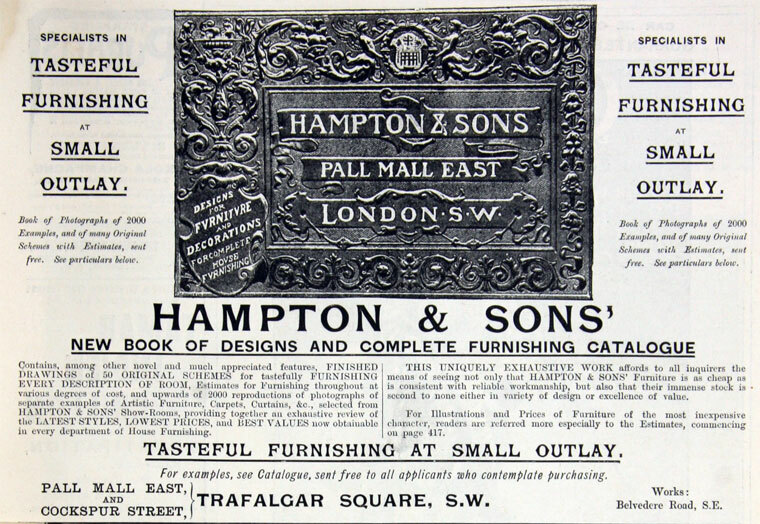 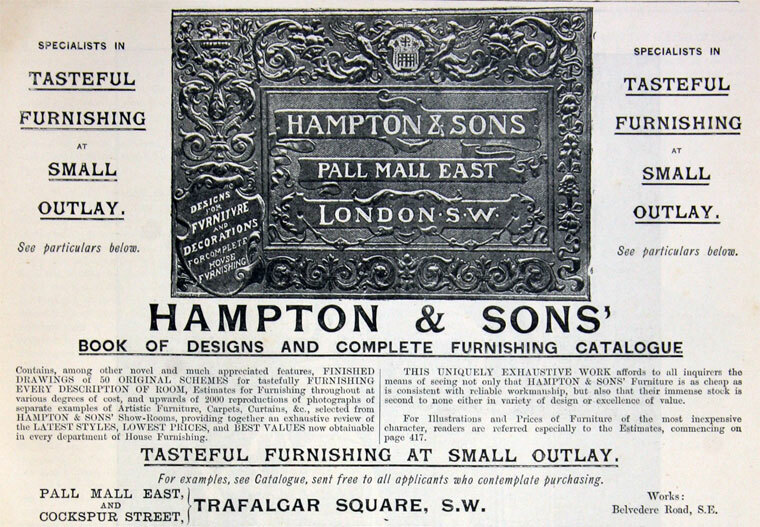 Hampton and Sons, furniture maker and retailer, of 8 Pall Mall East, London, SW1. 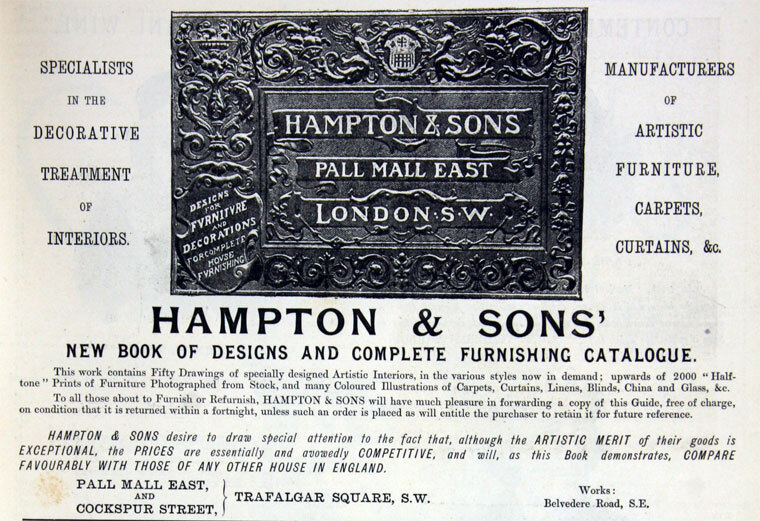 Telephone: Whitehall 1020. 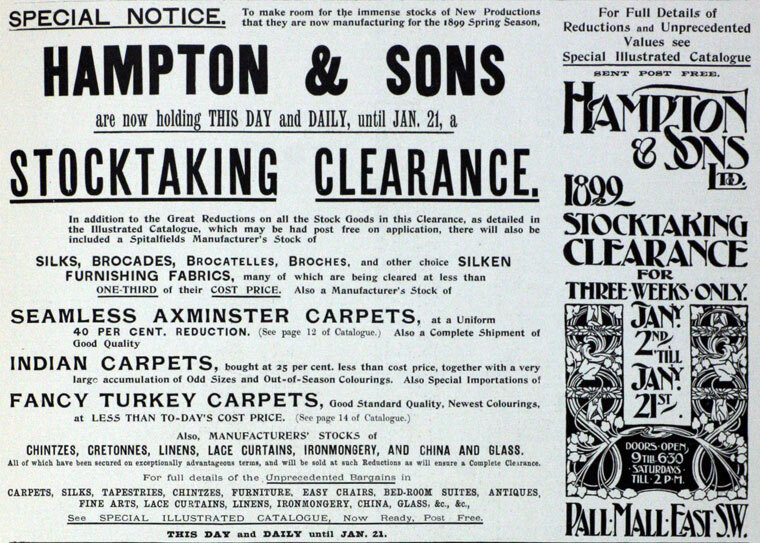 Cables: "Hamitic, London"
This page was last edited on 12 December 2017, at 15:16.